Could This Be The Best Skincare Routine? Aging is part of life, but still as we get older, we need to protect and care for our skin at all costs. It’s not about being 45 and trying to look 30. It’s about looking your best, and having great skin. Not everyone wants to go under the knife for a face lift, it is very invasive, and once it’s done there is no turning back. The Korean skin care routine for anti aging can assist in keeping your skin looking clear and radiant. The routine is effective in helping your skin become clearer, smoother and hydrated. Hydrated skin not only looks better than dehydrated skin, it feels better and is healthier. In Korea, there is a lot of pressure to maintain the appearance of youth and to keep your skin looking younger. Koreans are taught to look after their skin from a young age and they work to prevent skin issues from occurring. It is very common for Koreans to follow a rigorous antiaging skin care routine that involves using multiple products. Compared to what is considered the norm in the West, it is more work, but the results are clearly visibile. Oil attracts oil, so an oil based cleanser is extremely effective at removing all types of grime and oil from the skin, like SPF, pollution, and sebum. In Korea, essences are used everyday and are an important part of the antiaging routine. Essence are not toners but watery type solutions that are packed full of active ingredients. They are applied before a serum. Many women are not aware that skin cells turn over. This is called skin cell renewal. The new skin cells come from beneath the skin and push forward to the surface. The skin you see on the surface of you face are actually dead. Regular exfoliation helps to promote faster skin cell turnover. When you do not exfoliate regularly you end up with dry, flaky skin. It may feel rough to touch or dehydrated and wrinkles are more prominent. All you need to do is add in exfoliating 2 – 3 times per week to improve your skin. Serums are also considered a necessity in Korea. Serums are thicker than essences and also packed full of active ingredients that target sagging skin, wrinkles and redness. They play a significant role in skin care because they target specific conditions of the skin. Most treatments such as serums, boosters, and ampoules have tested and approved ingredients by professionals. They have the capacity to treat skin concerns like fine lines, hyperpigmentation, and acne. Sheet masks are the corner stone of Korean skin care. They are used after the essence and serums/ampoules or boosters. They are individual sheets that are drenched in product, which are applied to the face. It is advisable you leave the sheet mask on our face for 15 to 20 minutes as you relax. Sleeping masks are not a mask (like a sheet mask) but are simply a cream that is applied at night. Sleeping masks have a thick consistency and are essential for any woman who needs to target anti aging. They seal in moisture and plumps up the skin, while you sleep. Korean skin care has many different (and slightly unusual) products. Anti aging products like the one below do seem odd, but the reviews for this product speak for themselves. 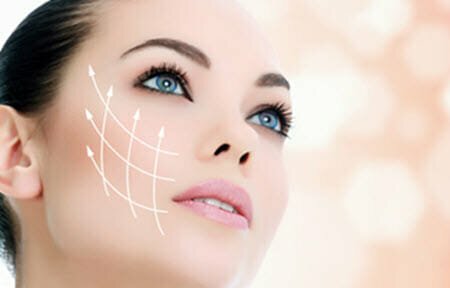 We know that any product that is applied to the skin will only have short term effects and the only permanent solution to a completely smooth face is botox or a face lift. But many women do not want to go down that path. Mature skin can still look beautiful. If you look after your skin as you age you will not only look better, but will feel more confident as you know you are taking care of yourself and the effort is paying off. NextCould This Be The Best Skincare Routine? Adsense Disclosure: We are a participant in the Google Adsense program. Affiliate Disclosure: We are an affiliate of the StyleKorean affiliate program. If you purchase through our links we will receive a commission from that sale.